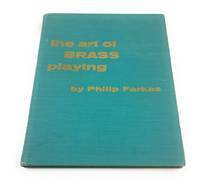 Bloomington, IN: Brass Publications, 1962. Clean in sound binding. Near fine, no dust jacket. Neat original price stamped on corner of free endpaper. . First Edition. Hard Cover Cloth. Near Fine/No Dust Jacket. 4to - over 9¾" - 12" tall.